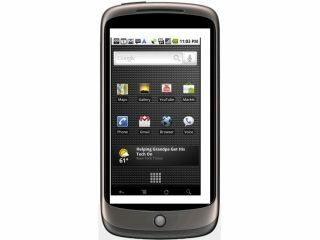 Google Nexus One proving popular? Vodafone might have only just announced that it will be selling the Google Nexus One phone on 30 April, but already stock has run dry. Users who have to pre-ordered the phone are apparently being told that the Nexus One "is unexpectedly out of stock" according to labby.co.uk. "Thank you for placing your order. "Unfortunately we have suffered a surprisingly high demand for the Nexus One from Google, which means that it is unexpectedly out of stock. "Please accept our sincere apologies for any inconvenience caused. We hope to have further stock available within 7-10 working days and will contact you again once your order has been dispatched." Whether this is a glitch in the Vodafone sales machine or a genuine shortage of Googlephones, we're yet to find out. But if true, it would show that Vodafone stocking the Nexus One in its stores is far more fruitful than Google's US method.